America's first thru-hiker was a WWII veteran. In the late 1930s two boyhood friends from York, Pennsylvania had an idea: they wanted to hike the entire Appalachian Trail from end-to-end. It was an ambitious idea but the second world war loomed on the horizon. Within a few years, both Earl Shaffer and Walter Winemiller were serving in the army in the Pacific theater. Shaffer would survive. Winemiller would die at Iwo Jima. 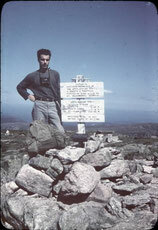 After the war in 1948, Shaffer began hiking the AT at Georgia's Mt. Oglethorpe (then the southern terminus) and 124 days later reached Mt. Katahdin in Maine. His journey was unprecedented. No one had ever thru-hiked before (the word didn't even exist) and the Appalachian Trail Conference didn't believe him. With his journal and photographs, he convinced the ATC that not only was a thru-hike possible, but that he had done it. 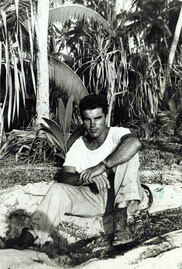 Earl Shaffer during World War II in the Pacific. Photographer unknown. Shaffer said he hiked the Trail to "walk the Army out of my system," and in his journal, wrote about Winemiller. While the term PTSD would not be added to the DSM-III until 1980, but it seems that after the trauma of war and loss of his friend, Shaffer was experiencing PTSD. The solitude provided by the Trail may have been therapeutic. The simplicity of life on the Trail might also have been a relief from the confusion and complexity of normal life. Shaffer was making a physical journey, but headed toward an immaterial destination. Shaffer's memoir, Walking with Spring launched thru-hiking as a sport. 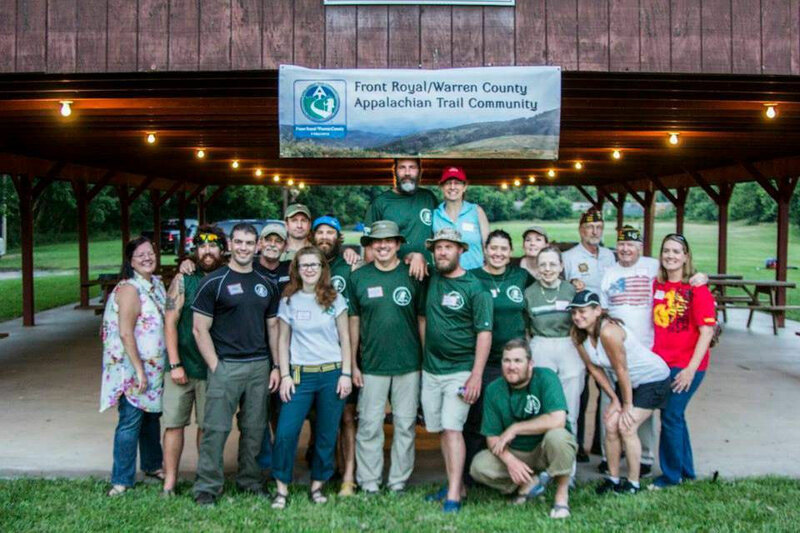 Thousands of thru-hikes have followed, including one by a former marine, Captain Sean Gobin, who in 2012 founded the non-profit Warrior Hike to help other veterans who want to thru-hike one of America's National Scenic Trails. In 2012 Captain Sean Gobin left the Marine Corps having served in Iraq & Afghanistan, and set out to hike the Appalachian Trail. After reflecting on how positive and therapeutic his thru-hike experience was, he founded Warrior Hike "to support veterans transitioning from their military service by thru-hiking America’s National Scenic Trails." Any former service member who was stationed in a combat zone and honorably discharged can receive support from Warrior Hike in order to hike not only the Florida Trail, but the AT, PCT, CDT, Ice Age Trail, and Arizona Trail. Support includes all equipment and supplies necessary to complete a thru-hike, trail town support from the VFW and other organizations, and assistance with job placement opportunities after completion of the hike. There are benefits and drawbacks to Warrior Hike sponsorship, and it may not be for everyone. Weigh the pros and cons of participating in the "Walk Off the War" program before applying. Warrior Hike provides you with all the necessary equipment and supplies needed to thru-hike, which have been donated by sponsoring companies. Warrior Hike coordinates assistance from VFW posts and other veterans groups to assist you when you are in town. This can include transportation, food, and/or lodging. You become part of a veterans community on the Trail and have the opportunity to meet and socialize with other vets across the state of Florida. There are employment opportunities with the companies that support Warrior Hike. You have to follow a schedule created by Warrior Hike. Their website says, "Veterans participating in the Warrior Hike 'Walk Off The War' Program agree to follow a general schedule to the best of their ability. The purpose of the schedule is to allow the numerous organizations that will support the hike a chance to prepare and coordinate assistance." The phrase "to the best of their ability" suggests some wiggle room, but if you look at the sample schedule posted on their website, there are specific dates for your arrival at each town/VFW post, rather than a range of dates. Carefully review the thru-hike calendar posted on their website and decide whether it is a schedule you want to follow. It involves being social. Some hikers may enjoy the social aspect of visiting VFW posts. If you are seeking complete solitude and anonymity however, Warrior Hike may not be for you. You will be representing Warrior Hike. As a participant, your actions will reflect upon others in the program and the program itself. If this seems like a responsibility you would rather not have, Warrior Hike may not be for you. The gear they provide is limited to what they receive in donations. We want to be clear that it is quality gear — surprisingly good stuff, really — but it may not be to everyone's tastes or style. You can of course supplement what they provide with your own purchases. To receive support from Warrior Hike you must fill out a brief application on their website. After completing the application email a copy of your DD-214 and VA Disability Rating Letter (if applicable) to sgobin@warriorhike.org. Before you apply however, we encourage you to read over everything on their website: warriorhike.org, as well as follow them on facebook at www.facebook.com/warriorhike so that you get a sense of the organization and know that it is a good fit for you.